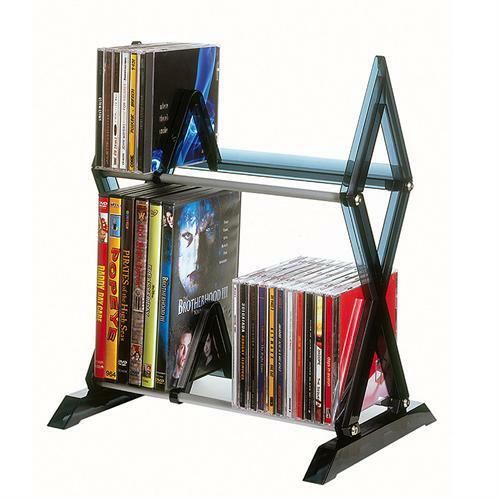 More on the Atlantic Mitsu Series Expandable 2 Tier Multimedia Rack 64835193 below. Geometric accents offer stylish approach to multimedia storage. Vertical design maximizes storage space. Lightweight yet durable construction for multimedia storage. Jewel case anchor divider included to organize media. Accommodates up to 52 CD or 36 DVD/BluRay/Games.